Secondly, my blog is now one year old - what?! 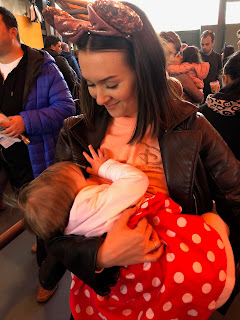 Back in December 2017, I started writing my blog after I went on maternity leave early, as an on the side hobby to write down my thoughts and feelings on my journey through motherhood. I've been blown away by all of the support that you guys have given me. From every like, comment and share, I feel so grateful for all of the love that you've shown my small piece of the internet. From way back to when I started my blog, I'd like to think that it's had some serious growth in terms of it's appearance and it's content, and I hope you all agree! As with anything, there is always room for more growth and improvement. 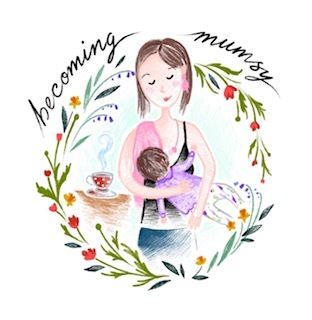 So, I thought I'd write a post about some of the things that you can expect to see this year on Becoming Mumsy. This is one that I'm super excited for. After all of your love for my husband, Max's, guest post on our daughter's 6 month update, it got me thinking. As a couple, we have always been quite open with our silliness and our adventures, so I thought it would be fun to have Max guest post once a month on the second Monday of every month. Similar to me, he'll be sharing some of his experiences since becoming a parent but from a dad's point of view. Expect to see topics covering breastfeeding, pregnancy and fatherhood. Although Max and I talk a lot about our new lives together, I think seeing it written down is very different. I know I certainly got a lump in my throat after reading his 6 month update, so I really hope you enjoy reading about his experiences as much as I do! The first Dad's Edition, will go live on the 14th January 2019. If you read my last post of 2018, you'll have seen the list of things that I am excited for this year. It's safe to say, it's going to be a busy year ahead but I am so looking forward to what's in store for us! We all love a good rant, let's be honest! I do try to keep these at a minimum because they aren't always the most positive and uplifting things to read. However, when I have published more of the nitty gritty subjects, I've had a lot of you message me, or engage with me in some way, to show me that I'm not alone in my thoughts, which is lovely! So, expect to see more of this in 2019. I really enjoy writing reviews for products. It also means a lot, especially as a smaller blogger, when companies take a chance on me to promote their products. If you'd be interested in working together, please see my Work With Me page. Anyway, I hope you'll all continue to follow my journey.